I wanna Go Out we look for the coolest bars in trendy locations for those dating or chilling with friends. We are constantly looking for cool wine bars. So please keep checking for new updates. 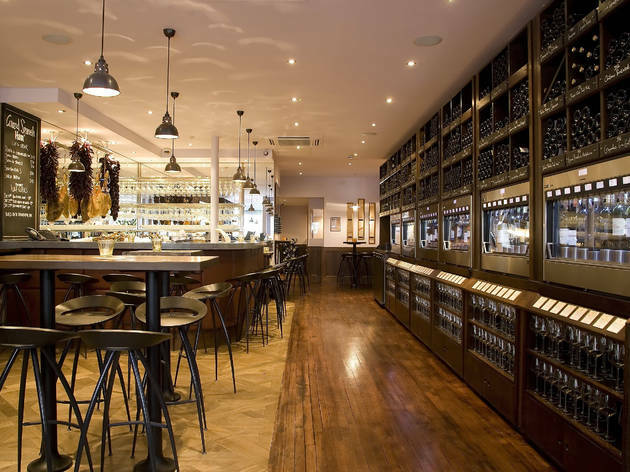 Located on the Fulham Road – in between Parsons Green and Putney Bridge – we are a wine bar, restaurant and wine shop. We offer 48 wines by the glass and serve dinner plus smaller tapas style dishes every day of the week, plus brunch on Saturdays and Sundays from noon. We have a large terrace, happy hour every day from 5-7pm, with cocktails and beers on draught available. Our private room seats up to 20 for a formal meal or can take groups up to 40 for drinks and tapas.